Imagine the excitement of being a diehard fan of a rough-and-tumble small-town team amateur team that within a year rose to near the top of Germany’s top division in the Bundesliga. Followers of the German Football System know that these are good times for fans of shooting star TSG Hoffenheim. The 2017 season saw yet another first for the team famous for their 3-1-4-2 formation – the club’s tactical wizardry resulted in the club becoming the last undefeated team in Europe en route to its most successful season in history. Clearly, the enthusiasm of longtime fans has helped propel the team to new heights. But is technology also a secret weapon? TSG, CEO, Dr. Peter Goerlich, said digital transformation in football requires dealing with an incredible volume of live data. He described the innovation and data-driven approach that helps keep his club competitive. This includes a “scientific view” the club takes by using a technology partnership with SAP along with a team research lab to personalize training and help TSG players perform at their peak. Dr. Goerlich said that perhaps the most exciting aspect is being able to track and evaluate data that is generated from sensors within uniforms. Coaches can then analyze what individual players do during a match, including ball touches, heartrate and net playing time. This data is then used to personalize the training process and put together a compact image of each player. From there the spatial capabilities of SAP HANA adjust to unique moves to augment individual performance help prevent injury. Technology that’s taking the football system into a new predictive dimension is also being used to connect to those loyal fans. Dr. Goerlich said that with live-data they get to know fans much better including having a greater understanding of their individual preferences. Dr. Goerlich said that as a CEO, he needs to be able to react to data incredibly quickly to intervene in the business. By using SAP Sports One technology and Match Insight, he has access to what he describes as the “strategic use” of live data at any time on his mobile device. On-the-fly adjustments are now made to help ensure that home matches are sold out by pushing out last minute merchandising promotions to fans. Or if a TSG home-match is already sold out, targeted action is taken to see what groups are taking advantage of special offers and quickly adjust them accordingly. Not only does Dr. Goerlich use his access to live data to make informed decisions in the moment to get fans into their seats, but also helps keep them there so they don’t miss any of the action. For example, SAP technology keeps the food and beverage kiosks running at full speed, and the team online merchandising shop which runs on SAP Hybris has seen sales increase by over 100% in the last year. As the fans are getting their snacks and ordering TSG jerseys, in-game live data is rapidly turned into predictive data that profoundly impacts the outcome of the game – and by extension an entire season. 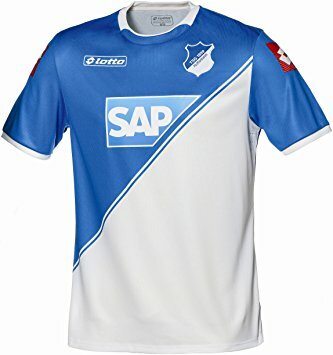 TSG Hoffenheim may be a small-town team, but through an ideal technology partner, innovation and a passion for the game, their loyal fan base has quickly grown around the world.